I rode Wolfie’s Bike Train! I feel like a real Safe Routes to School advocate. I finally rode in my first bike train. Although I talk about them all the time, I had never participated. 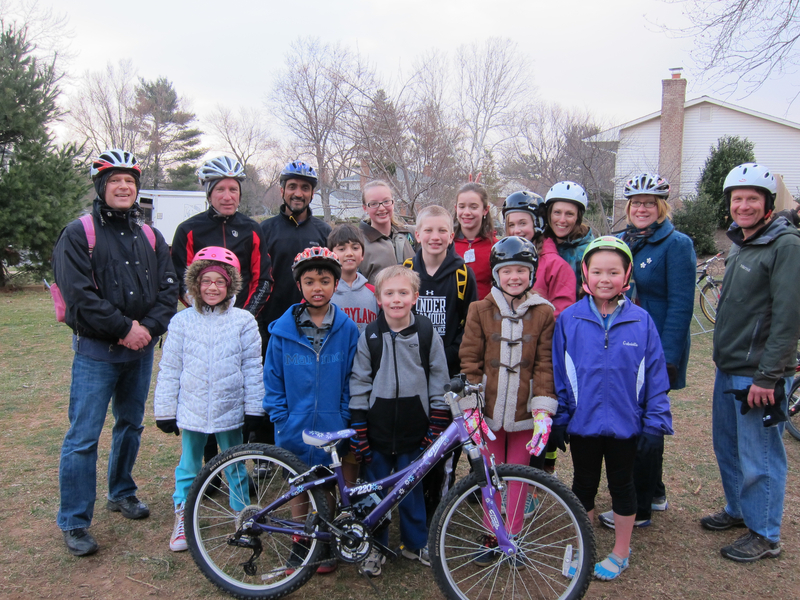 Thanks to Wolfie’s Bike train and the kids of Wolftrap Elementary School in Vienna, VA for letting me ride today! It was low 30s but we had over 10 kids who clearly knew the rules of the road and the way to school. They even tackle a big hill on their way! It was pretty cool to see kids from the neighborhood join and parents bring their kids from other neighborhoods. This is a dedicated group! Special thanks to dad/organizer Jeff Anderson and his wife for letting me 1) use a bike so I didn’t have to bring mine and 2) then giving me a helmet when I forgot mine by the front door! The Safe Routes to School family always comes through! !